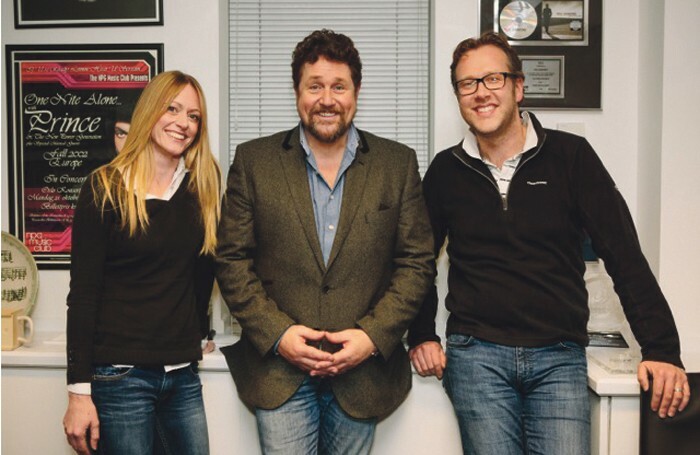 Wendy Barnes with Perfect Pitch patron Michael Ball and chief executive Andy Barnes. A little over a decade ago, Andy Barnes was a police offer looking for a new challenge. Today he’s running a production company with his wife Wendy called Perfect Pitch, which sits at the heart of original British musical development and which this year marks its 10th anniversary. Its apt, then, that in this landmark year, the company will see musical The Go-Between, a show it discovered in 2009, open in the West End with Michael Crawford as its star. The show is the first West End transfer for Perfect Pitch, whose roots can be traced to 2000 when Andy, then a bored police officer, suffered a wrist injury that put him out of action. Having tasted producing and grown increasingly bored with his job, he resigned from the police in 2004 and took up a place studying advance theatre practice at the Royal Central School of Speech and Drama. There he produced the student showcase, which is how he met Wendy, who had been hired as a musician to perform as part it. However, when he and Wendy began to look at how to fill the two-week slot, they could find nothing suitable, so they put a shout-out for composers with shows they wanted to be seen. “Within a month we had a ridiculous number of shows – 150 to 200 – and everyone’s back catalogue,” Andy recalls. The result was a two-week showcase of new musicals, some extracts of 20 minutes, others full presentations, which Wendy and Andy called Perfect Pitch. The company continued to showcase the work of new writers over the next couple of years, but soon became aware that some of the shows it was working on could do with development time. That later evolved more, so that the development of shows became the core focus, with the company abandoning its showcase model completely after 2009 to develop and showcase individual musicals when they were ready to be seen. Today, the company is part of ACE’s national portfolio, and works in collaboration with venues, writers, producers and creatives all over the UK and beyond to create, develop, produce and license high-quality new British musicals. 1. Michael Ball and Stephen Fry are its patrons. 2. It runs a biannual award, worth £12,000 for new writing. 4. 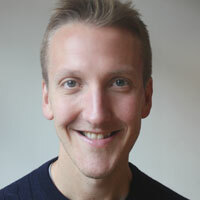 Executive producer Andy Barnes used to work in the police. His mother sang opera and his father produced amateur shows. 5. The company doesn’t, as a matter of course, produce its own work. Instead it works in partnership with other producers and theatres to bring shows it has developed to the stage. To date, the company has worked with an array of writers including Craig Adams and Ian Watson, who penned Lift, which premiered in 2013 at the Soho Theatre. Since 2014, it has also run a £12,000 award to help new writers. The Perfect Pitch Award sees a composer and lyricist paired together to come up with an idea for a show. This year’s winners are Adams and writer Daniel York, with a show about the Morecambe Bay cockle pickers disaster. It’s Perfect Pitch’s hope that this show, and others it develops, will go on to have long lives. The Go-Between is a fine example of the kind of work that Perfect Pitch has helped to develop. 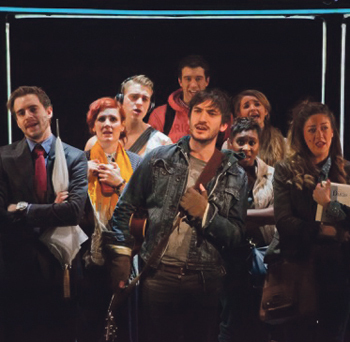 Discovered as part of its showcase in 2009, the show attracted initial interest from regional theatre, and this year comes to London’s West End. Andy says that the investors on The Go-Between know they are supporting new work. “They know if it makes money, Perfect Pitch will benefit, meaning other writers will too,” he says.